Trains, Planes – and Increased Property Equity - A.P.W. One of the messages we often communicate in our dealings with clients is the need to look for property investment in areas where there is an ‘economic centre of gravity’. A residual demographic which is increasing adds a solid foundation for property. In the UK at present there are only 20% of the required homes being constructed, and this creates significant demand over supply. But investment in infrastructure makes a big difference to property values as well. One such example is a recent APW development, in Dudley – Castle Court. Built in a redeveloped office block, Castle Court has benefitted from infrastructural developments in the region which has had an upward movement on property values. Birmingham was already a beneficiary of the new HS2 train line which links the city with London. This represents a vital transport link which has helped to make Birmingham an even more important city, at only 49 minutes away from Euston. 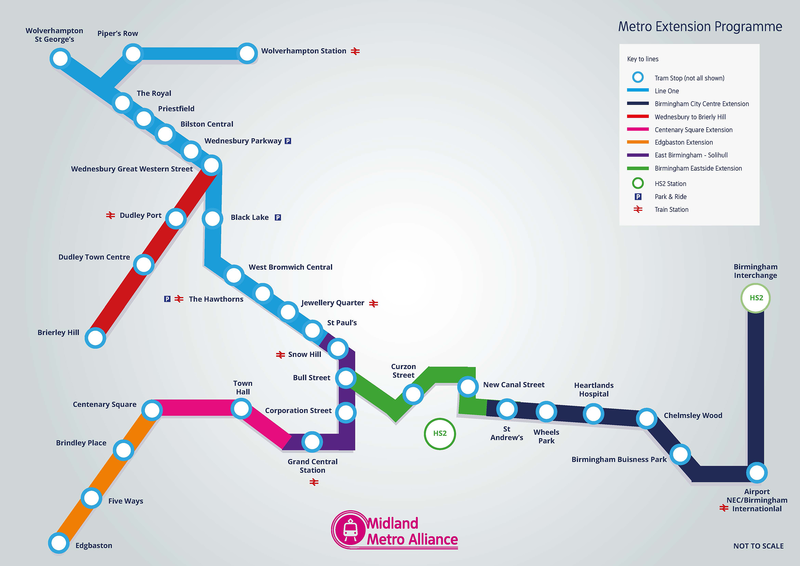 The latest plans to extend the Midland Metro on the Wednesbury to Brierly Hill link will put Dudley within the rail network to HS2. This makes Dudley an effective commuter district of London. This £200m investment has been proposed and a decision will be made shortly. The effect of such investment only serves to strengthen the values of properties and the key point here is that the purchase price on such off-plan properties are locked in at the time of purchase, at the beginning of the two-year payment cycle which APW offers on many of its properties. The implication here is that buyers can see as much as an 8 – 10% increase in the value of the property, without having to pay any additional capital. This means a lower mortgage, higher equity and ultimately a higher return. Another example of this is what has happened with Cross Rail in London. Properties located across the Cross Rail link will go up in price. For instance, at Woolwich Arsenal, in the last three years, prices have gone up 57%. The train link means shorter travel times to London and strengthens the economic centre of gravity. While it’s impossible to predict the future value of such property precisely, we do recommend investors keep an eye out for the importance of infrastructure and what this means for future profits. In short: trains and planes nearby will mean increased equity.